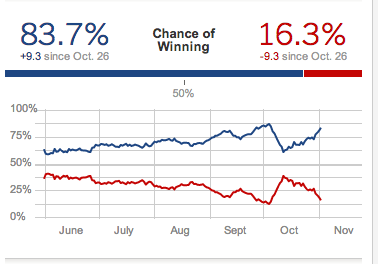 Based on Nate Silver's forecast, Obama currently has an 83.7% chance of winning the election. 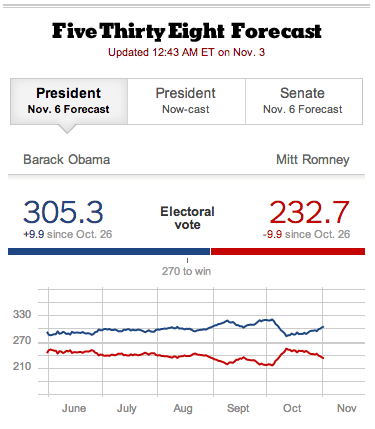 Nate's forecast for the electoral vote is O: 305.3 R: 232.7. It is looking very good for Obama...but, I am a worrier! Fingers crossed! !